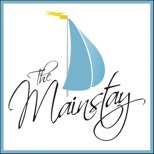 The Mainstay is located close to the harbour within easy access to shops, pubs and restaurants yet quietly tucked away from the bustle of town, whether you are looking for a relaxing break, romantic getaway, or maybe something more adventurous Whitby's best attractions are right on our doorstep. Amazing Views From All Our Rooms. Upon approach to Whitby Train and Bus Station, turn onto the Quiet Residential Road of Windsor Terrace, pass the Short Row of Shops and we are now just 30m away, you will find The Mainstay on the Footpath that runs alongside Whitby Library. 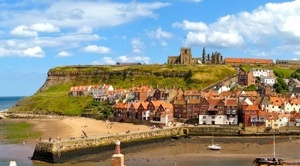 Whitby has many Award Winning eateries Botham’s of Whitby and the most famous Magpie Cafe renowned for delicious Fish and Chips are only minutes away. The Mainstay can be found at the Very Start of the North Yorkshire Moors Railway, one of the most popular Heritage Steam Railways in the World is only a stroll away. 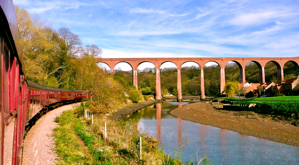 For a Fabulous Day out hop on board the Train for a Scenic Journey through Beautiful Countryside of Wild Heather Moorland, Relax and Explore in comfort as it steams past the Sleepy Villages of Grosmont and Goathland onto it's Final Destination the Market Town of Pickering. If you need any further assistance with directions, please do not hesitate to contact us, or check Google Maps to find your destination.